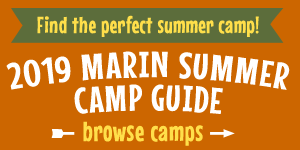 Marin Mommies presents a sponsored article from the Terra Schools. Looking for something fun to do with your whole family? The Terra Schools—Terra Marin K–8 and Terra Mandarin Preschool & TK—are opening their doors to the entire community for a Grand Opening Celebration and Fair on Sunday October 14 from 10 am to 1pm. Terra Marin K–8 and Terra Mandarin Preschool & TK focus on sparking curiosity and intellectual wonder in each child using project based learning, Earth Education, foreign language, social emotional curriculum, small class sizes, and a highly experienced and dedicated teaching staff. As a thank you to the Mill Valley community for their warm welcome, the Terra Schools have planned a spectacular day of fun activities iincluding rocket launching, archery, Spanish immersion cooking classes (for adults and kids), a bouncy house, arts & crafts, and authentic Mandarin and Spanish-influenced cuisine. It's a fun day out in the sunshine for all ages! Admission to the Terra Schools Grand Opening and Fair is free! Please RSVP at www.terramarin.org. The Terra Schools are located at 70 Lomita Drive in Mill Valley.